Chinese bitcoin exchange ViaBTC has announced that it will be launching an overseas platform after Chinese authorities cracked down on digital currency exchanges in the country. On September 25, ViaBTC is expected to suspend its domestic services to customers. As a result, it has urged current investors to withdraw their assets before closing. However, while this will no doubt help boost bitcoin trading, Haipo said no time frame had been established to relaunch the platform abroad. Other mainland digital currency exchanges due to cease operations include BTCC, OKCoin and Huobi. BTCC is also expected to stop its domestic services at the end of September. However, it has been reported that OKCoin and Huobi have until the end of October. This is due to their large customer user base and because neither listed ICO trading pairs. The start of September saw a new record high for bitcoin when it reached the $5,000 mark on the 2nd September. Yet, this new high was short-lived. Shortly after, on the 4th September, Chinese authorities outlawed initial coin offerings (ICOs). According to regulators they are an illegal form of fund-raising, which is linked to financial fraud and pyramid schemes. Following the ICO announcement, rumours began circulating that domestic digital currency exchanges would be targeted too. These rumours eventually became fact, which saw China ordering the closure of several prominent exchanges. Consequently, market prices plummeted. At the time of publishing, on the 22nd September, bitcoin is trading at $3,626, a 6.54 percent drop in 24 hours. Over seven days, though, it has risen by 12.19 percent. So far, the lowest trading price for bitcoin was on the 15th September. 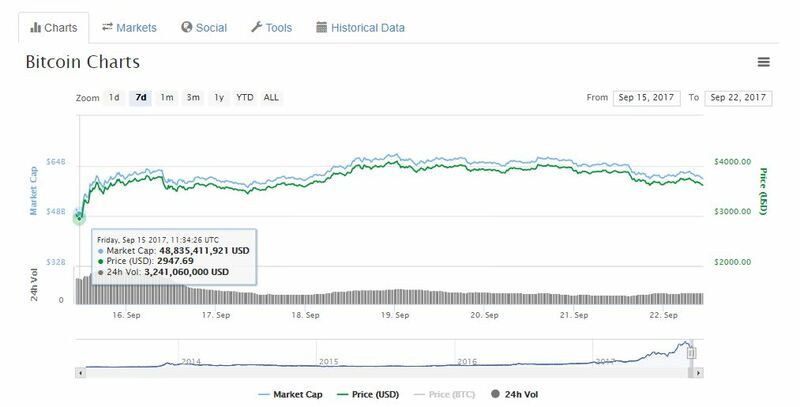 Then it was valued at $2,947, pushing its market cap down to $48.8 billion, according to CoinMarketCap. Since then bitcoin’s price has risen and fallen, even climbing back up to $4,000 at one point. Yet, it is due to the fact that there is a large amount of investor speculation, it’s decentralised and volatile that authorities are looking at it closely. Could Mining be Impacted Too? ViaBTC also operates a bitcoin mining pool. However, speculation remains as to whether China’s ban will extend to mining operations as well. Chinese exchanges make up around 10-15 percent of trading volume. 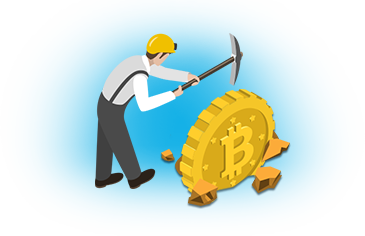 Yet, they account for around 65 percent of total bitcoin hashrate. However, it’s possible to use virtual private networks (VPNs) to get around China’s block. It remains, therefore, to be seen what China’s next move will be. 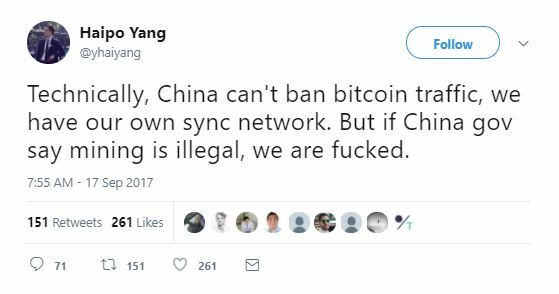 Yang is of the opinion that digital currencies can’t be banned from the country. 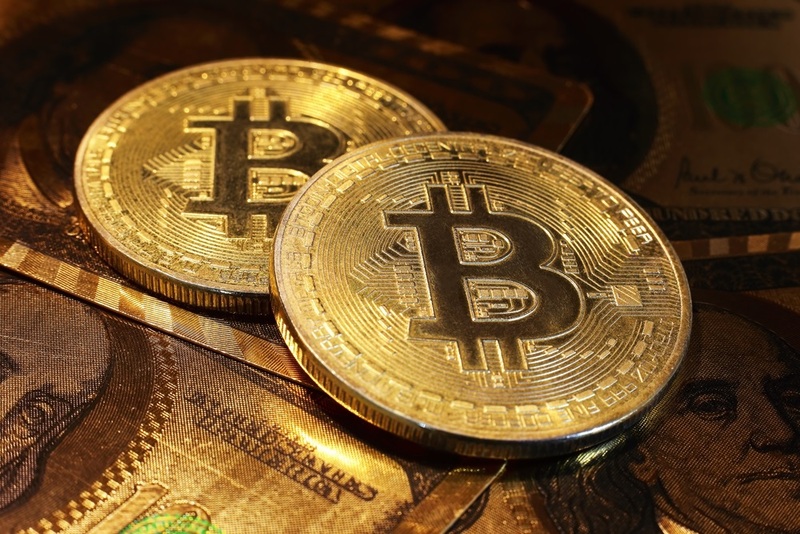 According to a former U.S. market regulator, the volatility of bitcoin’s prices are concerning. So much so, that he believes the only solution is through regulation. Bart Chilton, the former commissioner for the Commodity Futures Trading Commission (CFTC), made his comments in a recent opinion article on CNBC. Chilton believes that China’s actions should be a wake up call for bitcoin enthusiasts. Dimon was obviously not happy at the shot he took at bitcoin the first time round. As a result, he has done it again. His comments have drawn criticism from the bitcoin community. Meanwhile, London-based Blockswater, an algorithmic liquidity provider, has filed a complaint against Dimon for ‘spreading false and misleading information‘ about bitcoin. According to a report, Dimon violated Article 12 of the European Union’s Market Abuse Regulation (MAR) when he called bitcoin a fraud. The complaint was filed with the Swedish Financial Supervisory Authority and Schweitzer has asked the Swedish regulator to investigate. He notes in his complaint that market abuse in Sweden is punishable by up to two years in jail.